The summer of 1976 and Britain was baking hot. So hot that a Nationwide reporter was attempting to fry an egg on the pavement, probably. "What a scorcher" screamed The Sun headline, probably. In early July the USA was celebrating 200 years of independence and at Wimbledon Bjorn Borg was about to win the first of his five consecutive titles. On BBC Radio 1 Johnnie Walker was bidding farewell to his listeners and starting a new adventure Stateside. 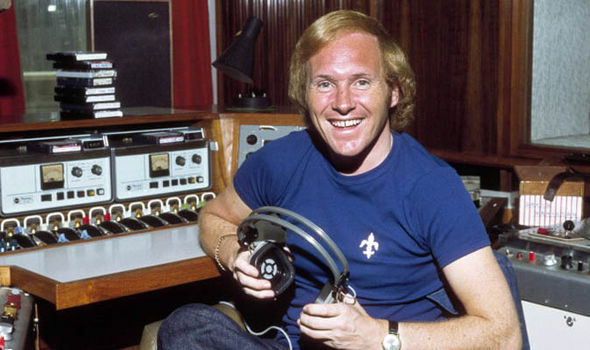 And every afternoon David Hamilton could be heard across the nation on both Radio 1 and Radio 2 on MW, LW and VHF. Just recently two recordings, one complete and one virtually complete, of David Hamilton's afternoon show from July 1976 have been posted on Mixcloud. At the time I regularly caught the last 40 minutes or so of the show on getting home from school so I probably heard the tail end of these programmes first time round. I definitely heard the 5th July show as I have a note to prove it - more on that below. So here are my observations on each programme. Thanks to Noel Tyrrel for uploading radio gold and to whoever recorded them in the first place. 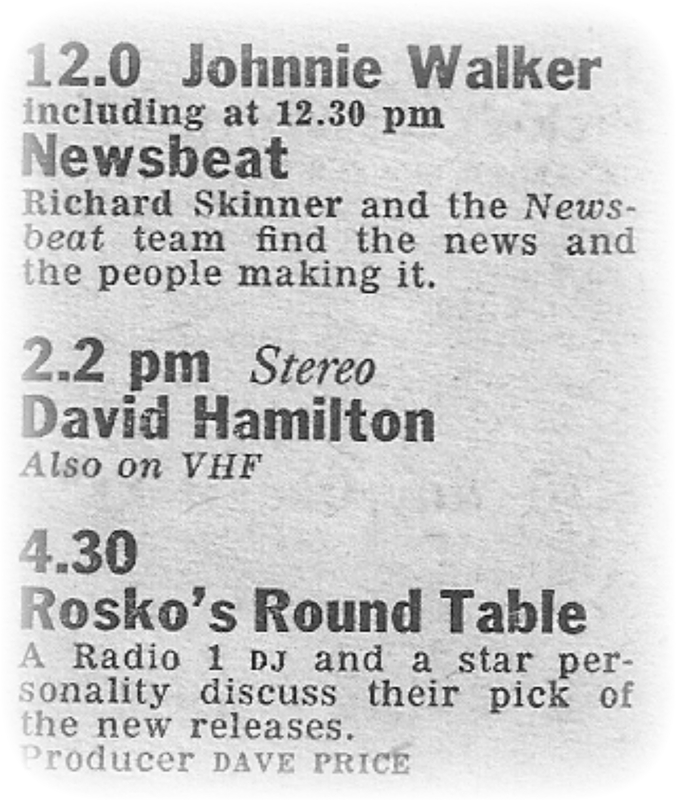 This show was preceded by the "and now a choice of listening" announcement as David was heard on Radio 1's 247 metres and Radio 2 VHF whilst Radio 2 long wave carried the penultimate day's coverage from Wimbledon presented by Peter Jones. 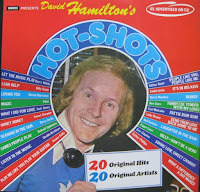 1 min: Whenever I hear Listen to the Music I just can't help singing "David Hamilton" in the appropriate place. David's afternoon show started on Radio 1 only on 4 June 1973. Does anyone know if the Doobie Brothers were used from the off? One hit wonder Lee Garrett is the opener, not to be confused with Leif Garrett. 8 mins:1976 was a great year for Gallagher & Lyle with their hit-laden Breakaway album. A tenuous connection here: my wife Val also comes from Gallagher & Lyle's hometown of Largs and she has memories of Mrs Lyle's wool shop. 11 mins: The Mystery Star was a long-running feature. All write-in entries of course but the address not given until the last half-hour when all three clues are read out. 14 mins: The classic Radio 1 travel news jingle. Tried to record this at the time hoping the DJ wouldn't come in too quickly after "news". PAMS jingles had another three months left on Radio 1 before the massive JAM package aired from late September. There seemed to be no regular times for travel news, we get a second bulletin at five to three. 15 mins: I'd totally forgotten about this lovely song from Nancy Ryan in the intervening 40 years. There's little about Nancy on the internet. Anyone know more about her? 26 mins: Paul Burnett was ready to take over from Johnnie Walker the following week. Here he plugs a US special for what was to be his last Sunday morning show that was always billed as All There is To Hear. Simon Bates took over the same slot. 30 mins: I'd forgotten this feature. They Sold a Million would get its own jingle in that first JAM package. 31 mins: A bizarre "fiddle-fired" cover of the Tavares hit by Jonathan King. He recorded a quadraphonic version, that I still have on tape, for the 1978 special Jonathan King Rules. 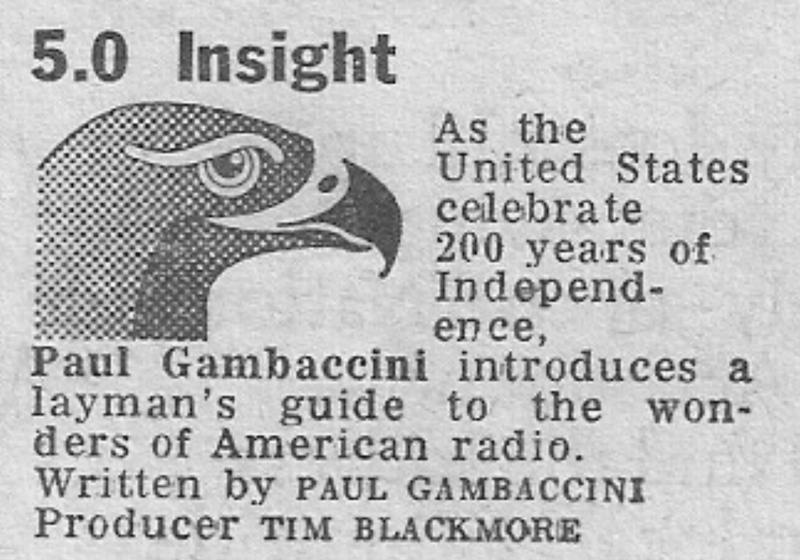 37 mins: Does this Insight programme with Gambo still exist I wonder? I'd love to hear it. 42 mins: The third trailer in an hour. This from the time Savile was still using the Sauter-Finegan Doodletown Fifers that had previously been used for Radio Luxembourg's Top 20. 45 mins: A case of state inflation from David. Just 50 states of course with Alaska and Hawaii the last to join in 1959. 55 mins: Ruth Cubbin on news reading duty. Ruth had previously worked on Woman's Hour before joining Radio 2 in 1975 (I think). As well as newsreading she presented The late Show, Folk 78 and You and the Night and the Music before leaving in July 1979. Subsequently she worked behind the scenes as a researcher on Derek Jameson's breakfast show (1986) and as producer on various Radio 2 shows, but mainly Gloria Hunniford's (1988-89) and then David Jacobs (1990), Anne Robinson (1991-93) and Radio 2 Young Musician between 1991 and 1995. I love the news story about Parisian bus drivers demanding an hour's siesta because of the sweltering conditions. You can imagine them pulling over with a bus full of passengers for a kip. 56 mins: Tea at Three, but who sings the jingle? The music appears to come from a version of Everything Stops for Tea recorded by The Syncopators. Today's sequence is almost like listening to the Light Programme: James Last, Manhatten Transfer and Glen Miller! (Edit: Apparently that jingle was specially recorded for David by Mud). 1 hr 8 mins: Hour two and you realise just what a busy a show this is. Notice too how David hardly ever signposts what's to come. David Hamilton's Hot-shots was so popular it led to an LP release in May 1976. My mum used to have a copy, though it long since disappeared. This Frankie Valli track failed to chart. 1 hr 21 mins: I remember C'mon Marianne getting its first spin on Roundtable as the mystery record so different was it from Donny's earlier stuff. 1 hr 23 mins: The 70s equivalent of Make, Do and Mend with advice from David's frugal listeners. Make Ends Meet was published in book form in the following month. 1 hr 42 mins: Ah yes, David's Daily Dolly! Well this is the 1970s. Could this be the voice that says "It's David's daily dolly" This YouTube clip posted, coincidentally, by another Andrew Walmsley. Spooky. 1 hr 48 mins: One of my favourite records of the year, Starbuck's Moonlight Feels Right complete with its marimba break. It never charted in the UK despite plenty of airplay. 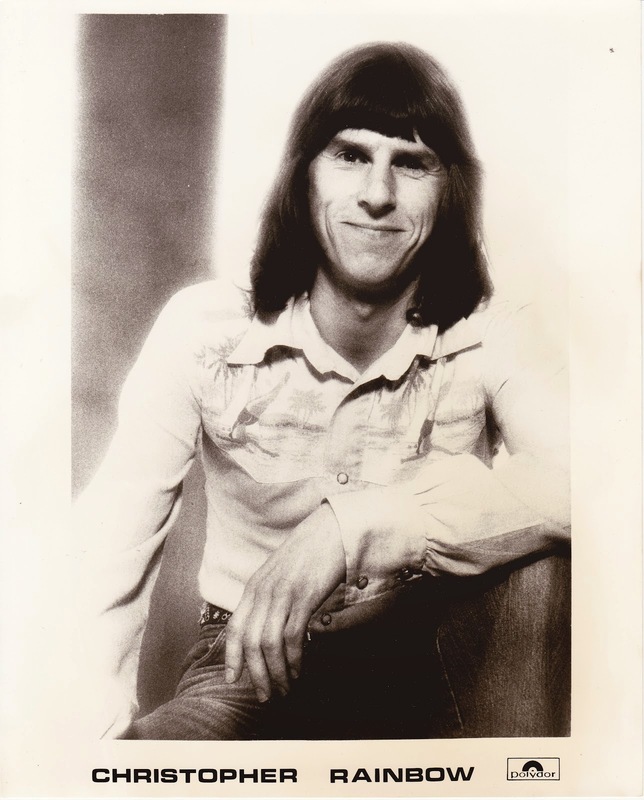 It was the first record that Simon Bates played when he took over from Paul Burnett on All There is to Hear just over a week later. 1 hr 51 mins: Any thoughts as to who's voicing this news lead-in? "Satisfaction guaranteed!" I wondered if it was Rod Lucas. 2 hrs 19 mins: The pips on the half-hour so that Radios 1 & 2 can split. Rosko over on 1 and Waggoner's Walk on 2. After a weekend gig up at Annan David is back on 247 metres, 1500 metres and 2 both LW and VHF. You'd have spotted David on the telly on Saturday night on a recorded Seaside Special from Scarborough. The guests were The Three Degrees and Kenneth McKellar plus, hands up if you remember them, Dailey & Wayne and Brothers Lee. It was also a significant weekend for me radio-wise. On Saturday 3 July I first started to note the names of the Radio 2 announcers and newsreaders, something I kept up for a few years, adding Radio 3, Radio 4 and IRN over that summer. 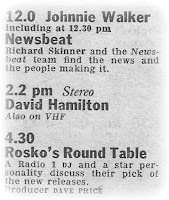 I noted that John Dunn was reading the 4 pm bulletin on the 5th which suggests that I did hear part of this show the first time round, even though it may have been the missing last half-hour of this recording. 4 mins: Hard to believe that any other Radio 1 show at that time would play Ken Dodd as a new spin. Presumably it was to keep some of the older Radio 2 audience happy and, of course, there's an obvious Doddy and Diddy connection. 8 mins In both these shows David uses Machine Gun by The Commodores as his music bed. The late Chris Rainbow of course known to jingle fans for his Capital Radio jingles and the superb 'Summer Radio' ones used by various Radio 1 jocks. His multi-tracked vocal talents much in evidence on Allnight. 11 mins: Time for sing-a-long with the Starland Vocal Band. This record gave rise to a number of afternoon radio shows adapting the title Afternoon Delight. Radio Trent certainly had one and I'm pretty sure Radio Sheffield did too. I suspect they weren't really expecting their listeners to enjoy the kind of afternoon delight the group were actually singing about. 26 mins: A little bit of fun at the expense of his good mate Tony Blackburn. Tony would replace David on Radio 1 in November 1977 with David continuing on Radio 2 only. Followed by The Singing Kaftan. 32 mins: The nation's number 1 from The Real Thing. I may be wrong here but this doesn't sound like the single and so could be a re-recording that may not count towards needletime. It was still common practice for Radio 1 to play the occasional re-recording, I have songs by John Miles and Leo Sayer on tape from this period that aren't the original single releases. 36 mins: A trailer for Radio 2's The Monday Movie Quiz voiced by James Alexander Gordon. 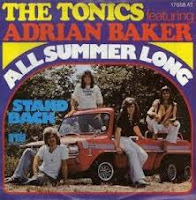 43 mins: More vocal multi-tracking, this time from Adrian Baker performing as The Tonics. Note too the specially recorded jingle, he also recorded versions for Tony Blackburn and Paul Burnett, perhaps other too. Sadly David ditched most of his own personalised jingles when he moved house. Around this time Adrian also recorded other jingles for Noel Edmonds and Paul Burnett. In 1988 he was behind Radio 1's 21st birthday song. 55 mins: Odd now to hear John Dunn reading the news. He'd been on daily at this time on Radio 2 until March 1974 and then presented Late Night Extra for the remainder of the year. But in 1975 he was back on newsreading duties and the occasional late-night show. John continued to read bulletins until September 1976 just before he moved into the teatime show from which, with a few shifts of time, he didn't leave for the next 22 years. 56 mins: These Tea at Three segues were a good way for us home tapers to get 3 or 4 records back to back. 1 hr 1 min: On Radio 1 Everyday seems to be the only jingle from the 1970 Audio Producers package that still got an airing in 1976. 1 hr 23 mins: Some decidedly dodgy cheapskate advice on reusing polystyrene meat trays from Mrs J. Winter that David later qualifies. 1 hr 36 mins: After a great sequence of records from Neil Diamond, Liverpool Express and Candi Staton comes this naff cover from the Surprise Sisters showing that in '76 nothing was safe from been disco-fied. They'd had their only hit earlier in the year with La Booga Rooga. 1 hr 44 mins: David's Daily Dolly used two 1975 tracks for the intro: Dolly My Love by The Moments and Girls by Moments and Whatnauts. 1 hr 48 mins: Our Kid was one of those acts that came out of New Faces. Not exactly the One Direction of their day they were a one-hit wonder with You Just Might See Me Cry. 1 hr 51 mins: Another mystery voice. Does anyone know who's saying "You're listening to afternoon national radio" etc before the news? And there you have it. A chance to relive a whole chunk of afternoon radio from exactly forty years ago in the hands of a consummate professional. A little dated, of course, and a reminder that not all songs of the period would become golden oldies. But just for a while I was 14 years old again. Oh, and the answers to the Mystery Star competition are Evonne Goolagong Cawley and Alistair Cooke. Do you happen to have a recording of the session featuring Queen, that was broadcast in quad matrix H on Radio 1 FM in the UK on Jan 2nd 1978.